Hey y’all and welcome back! I hope that you had an amazing weekend. You all have heard the phase ‘the terrible twos’, well I’m here today to set the record straight, it’s not as bad as it seems. In fact, in the case of Great Lakes Lacquer, it’s the complete opposite. This month, Mariah of Great Lakes Lacquer celebrates 2 years of business. That’s 24 months, 104 weeks or 730 days…give or take, of her amazing polish. Oh how I’d love to be fly on the wall of Mariah’s polish lab, she never ceases to amaze me with her creativity and insanely gorgeous polishes. *chant* Mariah is so awesome! *response chant* How awesome is she? She is so awesome that she found time in her busy Polish Con schedule to not create one but 2 indie-versary polishes AND a group custom trio in remembrance of Chris Cornell. The indie-versary polishes are 2 Year Love and Fluidly Flowing. There will also be small batch polishes and samples available including Running Like A River. The Revamped Group Customs Trio honoring Chris Cornell, his influence and presence in Mariah’s and Elena’s (admin of Polish Revamped FB Group) lives. Chris was a huge proponent of helping children in need. Mariah chosen to help Ele’s Place, a non-profit providing counseling to children and teens grieving in Lansing, MI, where Mariah currently resides. You can read more about Ele’s Place here. Please note, the trio will ONLY be available to members of the Facebook group. Medium creamy violet linear holographic with multichrome pigment shifting from fuchsia to gold and green. Deep blue linear holographic scorched with multichrome pigment shifting from red to bronze to orange to gold and maybe a bit of green. A deep, dark blurple linear holographic with red/gold/bronze/green multichrome pigment running throughout. A black jelly filled with three kinds of flake (multichrome, iridescent, and crystal), purple shimmer, and a strong scattered holo. A flaming scarlet linear holographic with an inner orange glow in certain lights. A sea glass green crelly filled with gold to bronze multichrome flake, blue to gold to green iridescent flake, violet iridescent flake, and blue to green shimmer. Overall: Cheers to Mariah and Great Lakes Lacquer on the first 2 years of business. 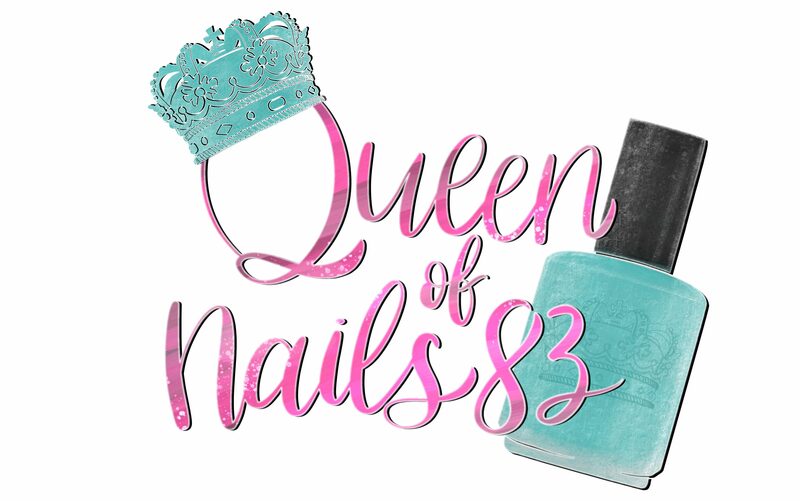 On behalf of Queen of Nails 83, we wish you all the success in the world! I am super excited to see what the next year hold in store because I know this is just the tip of iceberg. You all are gonna want to get it all!!! The indie-versary polishes to commemorate this milestone, the small batch polishes/sample and the trio because… Chris Cornell, duh and a portion of proceeds are going to a great cause. Fact # 1003 about me, I was 11ish when I heard Black Hole Sun and I love that song. I use to rock out to Soundgarden in the 90s. I’m waiting for my first GLL order to arrive, I can’t wait! Wow, these are all stunning but that red! DANG, that’s incredible! OMG that red is AMAZING on you! I’m gonna be there and hope I can snap up as much as possible! Can I just say wow? These shades you swatches are all gorgeous!